Originally written by Ray Davies and recorded by his band The Kinks back in 1964, ‘You Really Got Me’ became a hit for the band and help launched their career in the UK and abroad. 14 years later, in 1978, a young band out of California, Van Halen, released a cover version of ‘You Really Got Me’ that would also help launch their careers and propel them into Rock stardom. While fans all of the world have fallen in love with the VH version of the song, Kinks member Dave Davies has publicly expressed his dislike of the song, saying that “They would be penniless without the Kinks,” though songwriter Ray Davies has commented that he did like the VH version. As is often the case with successful cover versions of a song, fans have often approached members of The Kinks and comments on how they liked their cover of a Van Halen song, much like fans did to David Bowie after Nirvana covered ‘The Man Who Sold the World,’ on their Unplugged album. Recently, Van Halen has revisited ‘You Really Got Me’ and produced a live acoustic version of the song that is stripped down, and features a fairly conservative guitar solo by Eddie Van Halen on his acoustic guitar. Recorded for The Downtown Sessions, which was included in the deluxe version of their 2012 album A Different Kind of Truth, ‘You Really Got Me’ didn’t make it to the final release and was instead included in unedited form on the bonus features, as you can see by the fuzzy camera shot at the beginning of the video. Though this song has caused a bit of controversy, it has been responsible for launching the careers of two Rock & Roll pioneers, The Kinks and Van Halen, not bad for a few chords and a catchy riff. 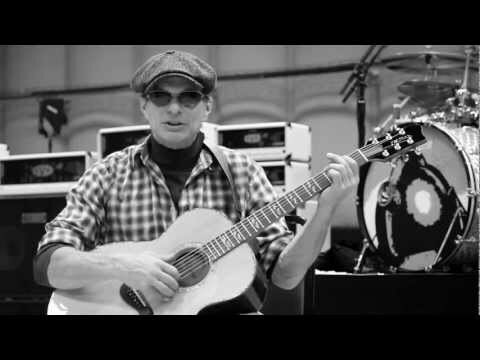 What do you think of this ‘You Really Got Me’ Acoustic Version by Van Halen? Share your thoughts in the comments section below. 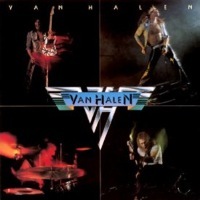 This entry was posted in Acoustic Guitar Songs and tagged Van Halen Acoustic by Alan. Bookmark the permalink.